BRIGHTON, Mich. - There's been a lot of trash talking lately involving the effectiveness and safety of the new 2015 Ford F-150, but let us clear it up: the 2015 F-150 takes the top spot in safety for the light-duty truck category. Ford's new F-150 is the toughest, lightest, smartest, most capable and safest truck EVER produced and now, Ford Motor Company can add "safest" to the description. The new truck is also the first truck in America to EVER pick up a Highway Safety Top Safety Pick for the SuperCrew model. The crash-test performance for the F-150 exceeded expectations, thanks in part to its all-steel frame, high-strength, military-grade, aluminum alloy body and smart engineering. A breakthrough in innovation also was applied to the reparability of the all-new F-150, thanks to its innovative structure that simplifies repairs. Ford basis their safety tests not by unrealistic stunts, but by real-world situations and accident repair data. 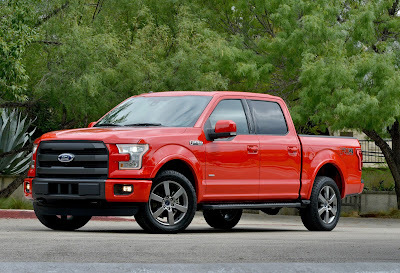 A cross functional group comprised of seasoned automotive veterans worked to optimize vehicle weight savings and manufacturing design to deliver improved durability, capability, fuel economy and crash worthiness and that is the reason why the 2015 F-150 takes the top spot in safety for the light-duty truck category. Here at Brighton, we are proud of the all-new Ford F-150 and the engineers behind America's favorite truck! If you would like to stop by your Hartland Area Used Ford Dealer and get behind the wheel of one of our many 2015 Ford F-150s on the lot, feel free! Brighton Ford is located at 8240 Grand River Ave. just north of I-96 in Brighton. We are a family owned and operated business that strives for customer satisfaction. For more information on Brighton Ford visit BrightonFord.com or give us a call at (800) 836-8206.